OFFER!! 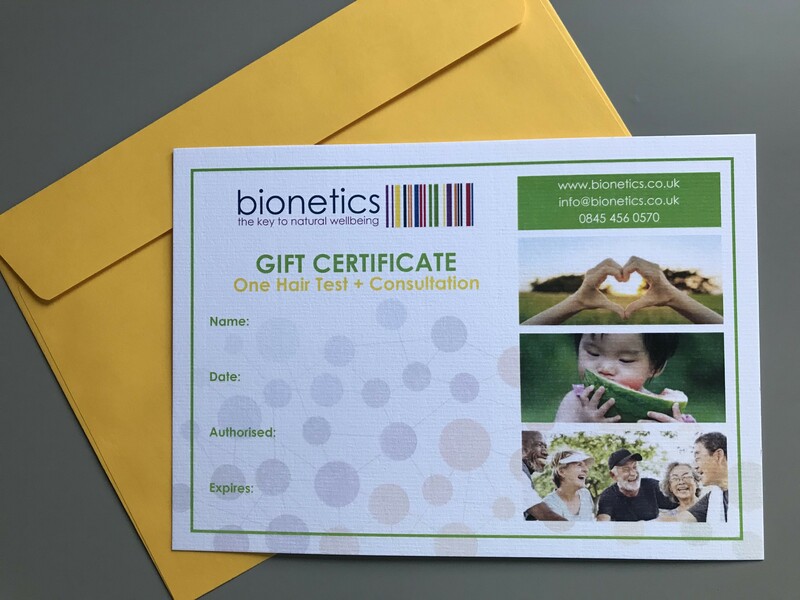 Buy one hair test gift certificate and get any additional hair test gift certificates for just £57.95 each. Just add more than one to your shopping cart to activate the discount. Why not buy our hair test as a gift for a loved one or friend ? It shows that you care and is such a simple way for an individual to look at there wellness and make some improvements. They receive the certificate, which is valid for 6 months and an application form that gives them all the relevant instructions. Once the application is sent to us then their results will be uploaded to our website within 7 working days and a 9 page report is sent to them in the post. They also have a 15 minute free consultation which allows them to go through their report and any question they may have.